Spearheading Lean Construction in France, IMMA innovates by creating new management tools dedicated to improving the operational performance of construction projects. Expert engineers specialised in lean construction or in construction: Is your curiosity limitless? Do you want to discover new tools and new management methods? If so, our company will open up a playing field to you that will live up to your expectations. 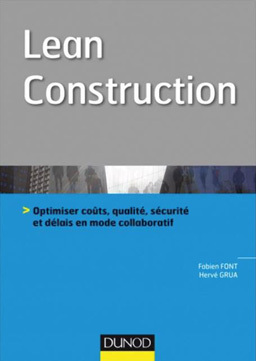 How collaborative work optimize Costs, quality, security and timelines Editions Dunod (French). Learn more about how Lean Construction can help improve margins, timelines and security in your construction projects. This book has been co- written by our CEO Fabien Font and Hervé Grua former Industrial Director of KP1 and Plant Director of Groupe Lafarge.